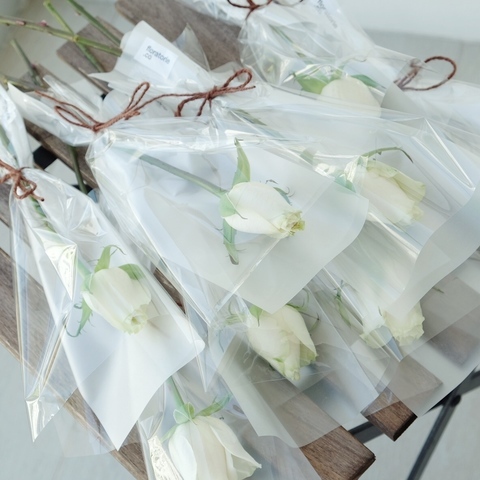 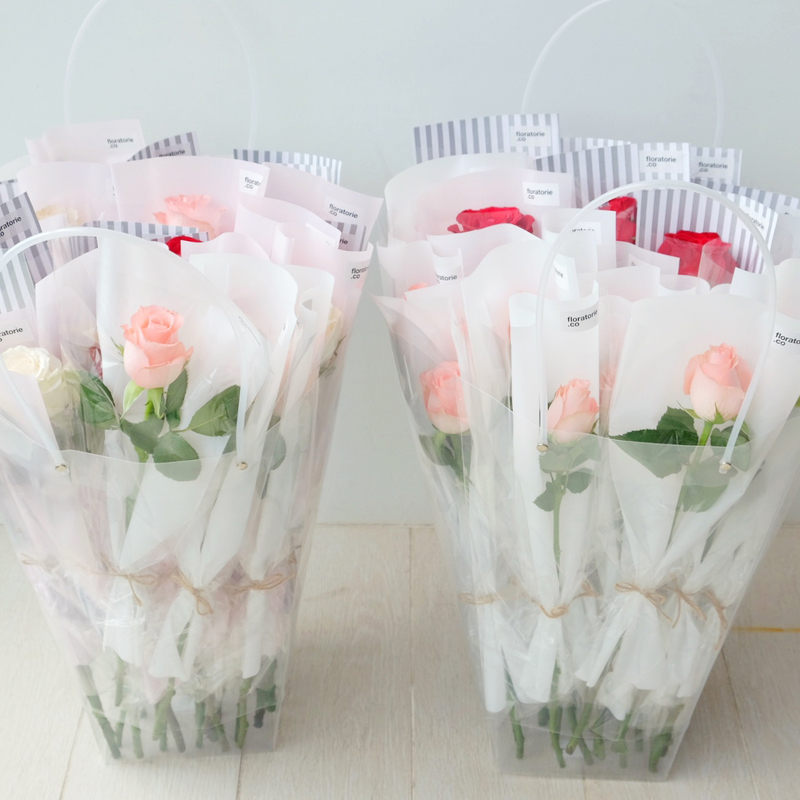 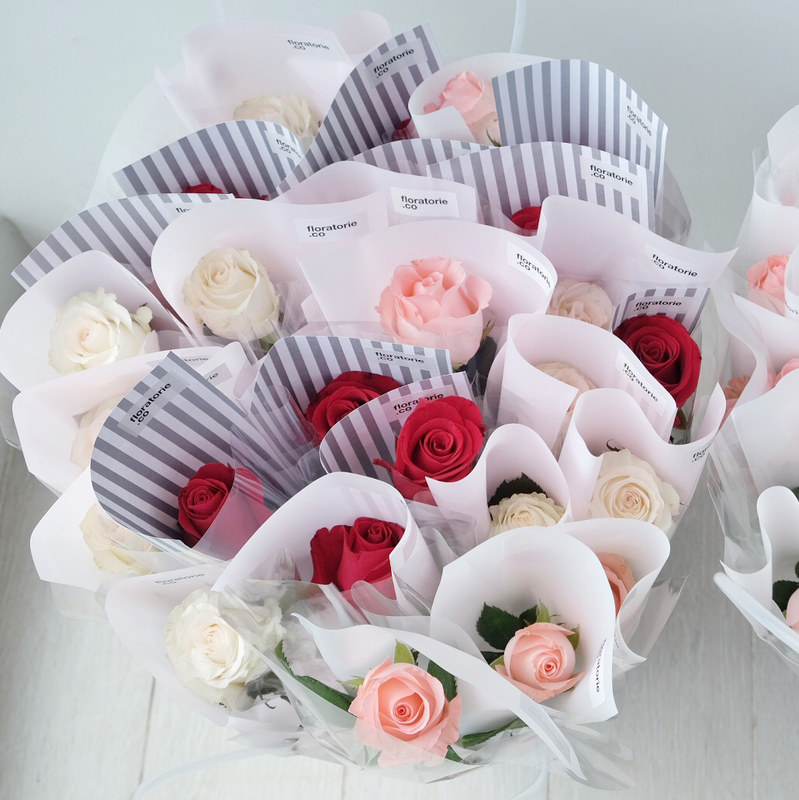 Roses packed individually and perfect for your colleagues or bff. Surprise them anytime anywhere! 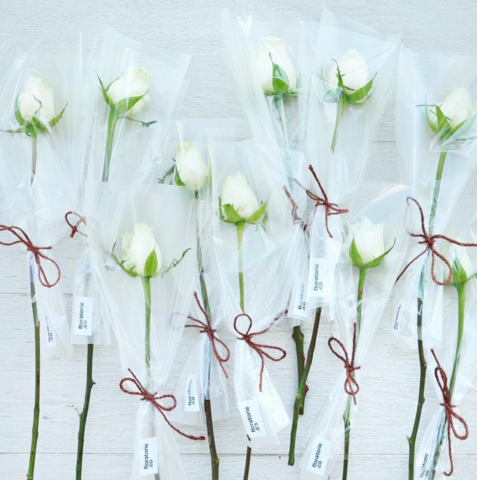 10 x Individually wrapped single-colour roses. 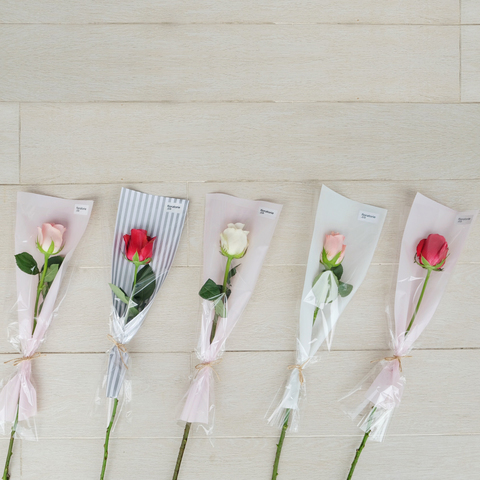 Let us know if your preferred colour of roses is unavailable in the list.